When ECO involves clock tree, the clock buffer cells would be removed or re-connected randomly in automatic ECO. GOF provides a feature to preserve the clock tree buffers when fixing clock tree. This use case demonstrates how to fix a clock tree by GOF. After Placement and Route, clock buffer tree has been built on clock path. Any big change to the buffer tree will bring difficulty to the final timing closure. Any ECO involving clock tree should do a minimum change to the buffer tree. In Figure 1, clock buffer tree cells are illustrated in triangles and flip-flop groups are illustrated in rectangles. The clock skews to all 16 flip-flop groups have been balanced. 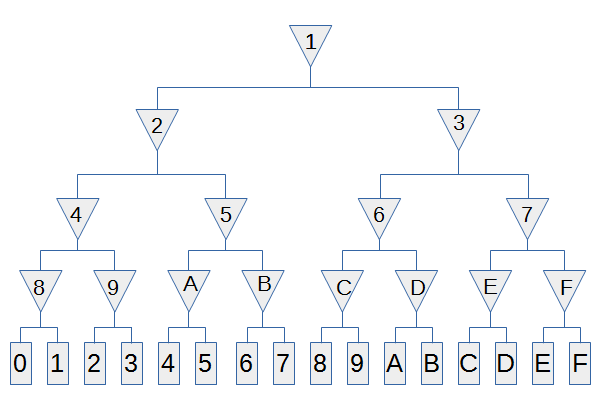 An ECO is to be implemented on the clock tree to insert Integrated Clock Gating (ICG) cell to 9 groups of the flip-flop clusters. 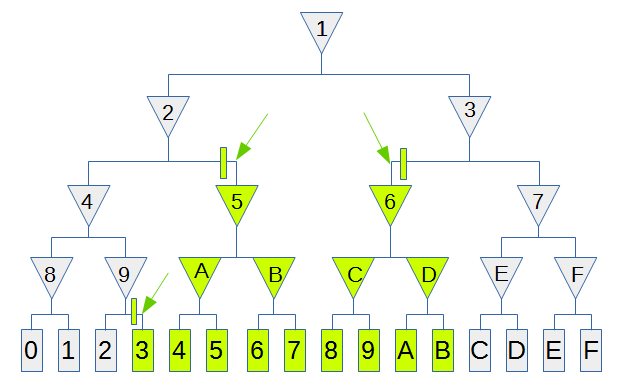 As shown in Figure 2, flip-flop groups, 3,4,5,6,7,8,9,A and B will have an ICG inserted to the clock path. GOF provides a feature to insert ICG cells to the implementation netlist with minimum impact. GOF takes the implementation netlist with clock tree in Figure 1 and the reference netlist with ICG inserted in Figure 2. 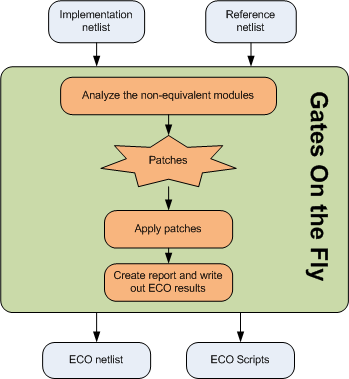 As shown in Figure 3 flow chart, GOF reads in the two netlists and processes the non-equivalent clock paths. The ECO result has the clock tree fixed with three ICG cells inserted. In Figure 4, the final ECO result has only three ICG cells inserted. And it is the optimal result. The same method can apply to Reset Tree as well. The only change is to replace '-clock' option by '-reset' in fix_design command in the above example code.